This Panel test identifies the changes in the MYOT, FLNC, MYOZ3 and CACNA2D3 genes. CAG is partnering with the NSvT (Nederlands Stamboek voor Tinkers). Tinker/Gypsy owners who register with the NSvT should place their PSSM2 test orders directly through the NSvT webpage. Please visit the NSvT website to receive further instructions on how to proceed with your order. CAG en NSvT (Nederlands Stamboek voor Tinkers) slaan de handen ineen. Tinker eigenaren kunnen via de website van het NSvT hun aanvraag voor de PSSM2 Paneltest indienen, u krijgt dan alle benodigde informatie toegezonden. Alle belangrijke informatie omtrent PSSM2 is te vinden op de website van het NSvT. → Exercise intolerance due to muscle wasting, stiffness, and pain. Polysaccharide Storage Myopathy (PSSM) is the name of a group of hereditary muscle diseases with similar symptoms. The variants categorized under the umbrella term PSSM2 (P2, P3, P4, Px) lead to exercise intolerance due to muscle wasting, stiffness, and pain. PSSM2 is not curable and can greatly impact a horse’s quality of life. An accurate diagnosis allows owners to optimize feeding and handling/exercise regimens to support the health of their horses. Two different types of Polysaccharide Storage Myopathy (PSSM) are known so far: Type 1 and Type 2. 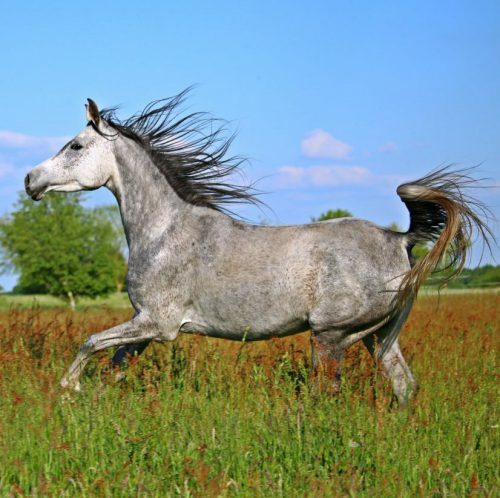 The diseases have similar symptoms; in the past horses with PSSM1 symptoms that were negative for the PSSM1 GYS1 gene mutation were classified as PSSM2. Research has shown that PSSM2 is not a polysaccharide storage disease, but is actually caused by defects in muscle fibers themselves. The name “PSSM2” is still used because people are familiar with it. “Myofibrillar Myopathy (MFM)” und “Recurrent Exertional Rhabdomyolysis (RER)” are subtypes of PSSM2. Several variants (P2, P3, P4, Px) in the genes MYOT, FLNC, MYOZ3 and CACNA2D3 have been shown to cause these subtypes. A horse can have more than one P-variant, e.g. P3/n + P4/n or P2/n + P3/n, etc. 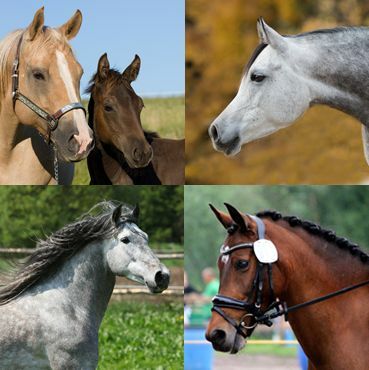 The combination of different variants leads to more severe symptoms and an earlier age of onset in the affected horse. Research is on-going to identify more genetic variants that may be responsible for other subtypes of PSSM2. The Equine Myopathy/PSSM2 panel is offered under license from EquiSeq Inc. and is based upon their unpublished research. → PSSM2 is an incomplete autosomal dominant/semidominant hereditary disease. Horses with one or two copies of the variant (n/P or P/P) are affected. Incomplete or semidominant means that animals with one copy (n/P) may show milder symptoms and a later age of onset than animals with two copies (P/P). n/n normal. The horse does not have any copies of the genetic variant causative for PSSM2 and therefore cannot pass it on to any offspring. The horse has one copy of the P-variant and will pass it on to approximately 50% of its offspring. These 50% are at risk of developing PSSM2. P/P affected (homozygous). The horse has two copies of the P-variant and will pass it on to 100% of its offspring. All offspring will be at risk of developing PSSM2. Althought PSSM2 diseases cannot be cured, most affected horses benefit from a diet with high fat and protein content and/or supplementation of the amino acids lysine, threonine, and methionine. Consult with your veterinarian or equine nutritionist about the appropriate feeding recommendations for your horse. 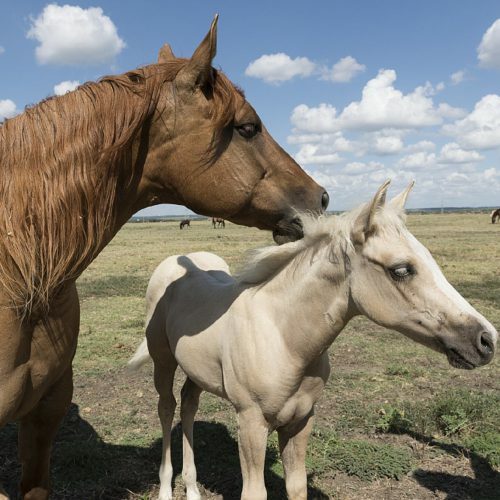 Affected horses (n/P or P/P) should only be bred after careful consideration and with the advise of a genetic expert and veterinarian. Please contact us for consultation and support. The Equine Myopathy PSSM2 panel is based upon unpublished research from EquiSeq. McCue ME et al. (2008). “Glycogen synthase (GYS1) mutation causes a novel skeletal muscle glycogenosis.” Genomics. 91(5):458-66. PMID: 18358695. McCue ME et al. (2008). “Glycogen synthase 1 (GYS1) mutation in diverse breeds with polysaccharide storage myopathy.” Journal of Veterinary Internal Medicine. 22(0):1228–1233. PMID: 18691366. McCue ME et al. (2009). “Polysaccharide storage myopathy phenotype in quarter horse-related breeds is modified by the presence of an RYR1 mutation.” Neuromuscular Disorders. 19(0):37–43. PMID: 19056269. McCue ME et al. (2009). “Comparative skeletal muscle histopathologic and ultrastructural features in two forms of polysaccharide storage myopathy in horses.” Vet Pathol. 46(6):1281-1291. PMID: 19605906. Maile CA et al. (2017). “A highly prevalent equine glycogen storage disease is explained by constitutive activation of a mutant glycogen synthase.” Biochim Biophys Acta.. 1861(1):3388-3398. PMID: 27592162. Valberg SJ et al. (2016). “Suspected myofibrillar myopathy in Arabian horses with a history of exertional rhabdomyolysis.” Equine Vet J.. 48(5):548-556. PMID: 26234161. Lewis SS et al. (2017). “Clinical characteristics and muscle glycogen concentrations in warmblood horses with polysaccharide storage myopathy” Am J Vet Res. 78(11):1305-1312. PMID: 29076373. Further information is available at EquiSeq .